Remember how I planned out my summer reading list? When my family and I were in California for our kids’ spring break, we went to a huge, browsable bookstore–the kind that doesn’t exist in our city anymore. Naturally, I drifted over to the religion section. There I discovered the type of book I most enjoy: a first-person narrative about the practice of faith. 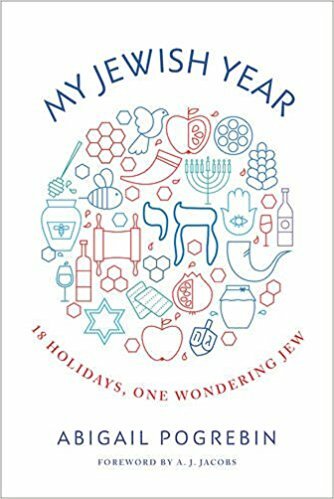 It was titled My Jewish Year: 18 Holidays, One Wondering Jew. I thought it would be a fun read about the Jewish year, a warm retelling of holidays kept and honored. One-quarter of my ancestors are Jewish; even though I’m Christian, I like learning about Judaism, so I bought it. Because it was–I thought–just a fun read, I didn’t make time for it until recently. I didn’t expect to pull out my highlighter as early as page 4. I didn’t expect to dog-ear pages all the way through. I didn’t expect a book that so clearly echoed my deepest concerns: Is my generation accepting the gift of faith and practice from our ancestors? Will we pass that gift on to our children? Abigail Pogrebin’s kids are about the same age as my kids are. She was raised in the Jewish tradition; she has raised her kids Jewish too. But there are different levels of Jewish observance, just as there are different levels of Christian observance. In her tradition, as the book begins, Pogrebin is roughly equivalent to a “Christmas and Easter” Christian. She observes the High Holidays, Passover, and lights Sabbath candles when it’s convenient. At fifty, she realizes she doesn’t understand her own religion, nor has she learned what it has to teach. She starts the Jewish Year project–intentionally studying and observing each major holiday, both fasts and feasts–to change that. I remember this hunger: I remember it from the days before I became an Episcopalian. I remember thinking, “That church has a coherent calendar that follows the story of Jesus Christ. The Christian year teaches things I don’t know yet; it helps people to live wiser, deeper lives.” Now that I am an Episcopalian, I’ve found this to be true. I follow the Christian year because it grows me every year. I’m never done learning. 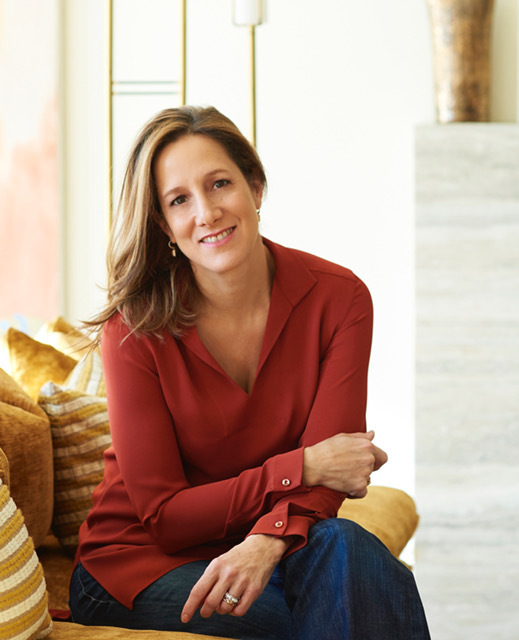 Pogrebin returns often to the challenge of cultivating Jewish observance in her nearly-grown children. Notably, she never worries about what her kids believe. Instead, she wonders what they understand, what they will choose to do. Do they feel part of the Jewish people? Will they observe the traditions of Judaism as adults? Are they literate enough in their tradition to take their place in the story of their faith? These are questions that plague me as a parent, as I try to pass on our faith traditions. But I’ve never tried to address them as creatively as Pogrebin has. 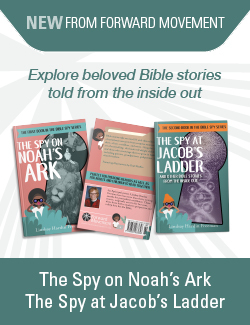 Her family Passover includes “Speed Maggid,” a quiz game which features two teams competing to answer factual questions about the Exodus story both quickly and accurately. 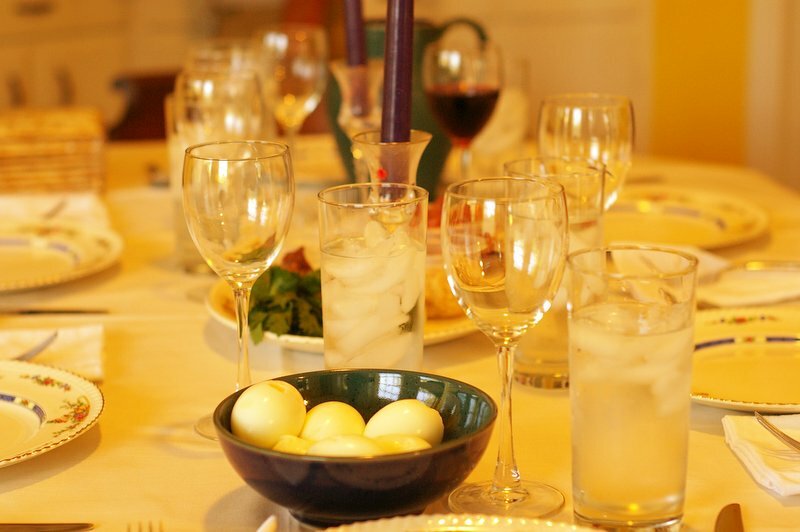 It also includes reflective questions at the dinner table: “The Haggadah reminds us to remember the stranger because we were once strangers; name one time in the last year that you helped the stranger.” Each guest writes a sentence on an index card, anonymously; the cards are then read aloud. More than once Pogrebin quotes the 2013 Pew Survey of Jewish religious life that seems to haunt the Jewish community as much as the bad-news Pew Surveys about Christian religious practice haunt our churches. Somehow, that makes me feel less alone. I want an observant Jewish next generation for her tradition as much as I want an observant Christian next generation for mine. It turns out we’re in this together, we people who believe religion matters. And from Pogrebin I have learned not to feel (too) awkward about teaching faith at home. If she can do it, I can too. My teens may roll their eyes at me, but I know what they don’t know yet: faith opens the door to a way of life that endures. If they embrace it, some day it will sustain them. At least, that’s how it works for me. or whether they understand the meaning of religious rituals and traditions? Lovely, thanks for sharing & keep on teaching your kids!! Not teaching mine is a life regret! Do it while you can!!! Off to buy this book. Right now. My favorite kind too!